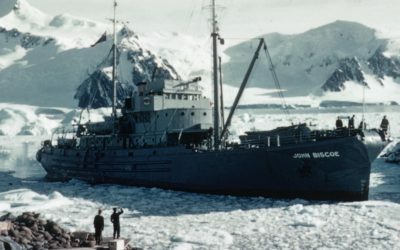 British Antarctic Survey (BAS) has a rich history of operating research ships. Ever since our first, MV John Biscoe, in 1947, these specialised vessels have allowed us to access remote areas and conduct research that simply wouldn’t be possible on dry land. Polar research ships enable scientific investigation in fields including deep-sea biology, biogeochemistry and seafloor geology. They transport people and equipment to our Antarctic and Arctic research stations, and provide floating field laboratories for multidisciplinary science teams from BAS and our collaborators. By working in co-ordination with Autonomous Underwater Vehicles (AUVs), moored sensor arrays, and remote sensing deployed by aircraft and satellite, these ships allow us to capture and transmit data that help our scientists to better understand or planet, and to provide essential evidence to help policy makers determine what action we must take to protect it. Read on to find out more about the science that takes place on board BAS-operated ships, and how our new ship, RRS Sir David Attenborough, is set to transform our work. Alongside precision navigation systems, polar research ships are fitted with a host of advanced facilities to enable a diverse range of in situ investigation and experimentation. An autonomous underwater vehicle being deployed from RRS James Clark Ross in the Weddell Sea. A LIDAR being used to give a very accurate image of the surface topography of the sea ice. Through long-term shipborne research investigations, BAS scientists are studying the combined impacts of global climate-driven change and commercial fishing on polar marine ecosystems. This vital work is informing the development of conservation and ecosystem-based management strategies and helping to shape government policy. Our multidisciplinary approach and strong partnerships ensure that BAS continues to strengthen this area of globally important research. 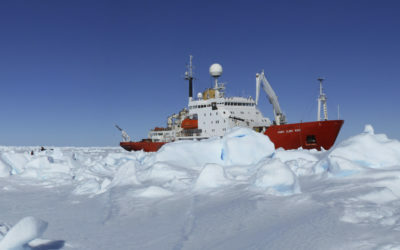 Two interrelated projects – ABSCISSA in the Arctic, and BLOWSEA in the Antarctic – required ships with icebreaking and sea-ice core-taking capabilities to better understand the source of sea salt aerosols. 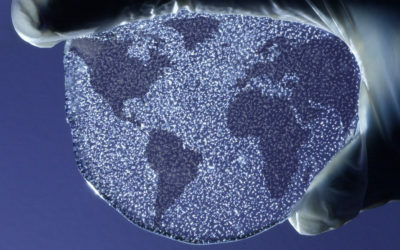 These tiny airborne salt particles play a crucial role in the Earth’s climate, reflecting and scattering sunlight and acting as ‘seeds’ around which clouds can form. 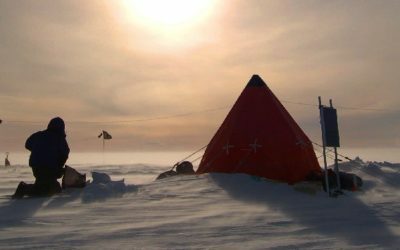 Examining their presence in polar ice cores reveals hidden information about polar sea-ice conditions in millennia past. Long-term biological observations generate deep understanding of the environmental variability in marine ecosystems in the South Georgia sector of the Southern Ocean. This research is critical for sustainable management of fishing. Deep-sea research is generating a greater understanding of the biological carbon pump that regulates the Earth’s climate. BAS is leading ORCHESTRA, a five-year, £10 million collaborative project to increase our understanding of the role the Southern Ocean plays in climate change. Although the Southern Ocean makes up only one fifth of the planet’s oceanic area, it absorbs three quarters of all the heat absorbed by our oceans, and half the CO2. Its critical role in controlling global climate means it is vital we understand the systems at play beneath its depths – BAS-operated ships, AUVs and aircraft all play a part in developing that understanding. Dense water flowing from the Southern Ocean to the Atlantic has warmed and dwindled in volume, and the collaborative DynOPO project is on a quest to find out why. This four-year mission is making extensive use of BAS-operated ships, including stationary moorings and Autosub Long Range: an advanced AUV with a 6,000km range and a depth rating of 6,000m. Containing approximately 2.2 million km3 of ice, the West Antarctic Ice Sheet (WAIS) represents one of the largest potential sources of future sea level rise. Already losing mass at a growing rate, its complete collapse could raise global sea levels by as much as four metres. BAS is studying the flow of ice from the WAIS into the Amundsen Sea, using geochemical techniques to uncover historical data showing its rate of ocean-driven melting over the last 11 millennia. These data will allow the creation of more accurate models that enable better-informed predictions of future sea-level rise. The next chapter in the history of BAS is about to begin. When she takes to the seas in 2019, RRS Sir David Attenborough will usher in the next generation of polar and marine research. Commissioned by NERC, built by Cammell Laird and operated by BAS, the new ship will transform the way BAS conducts its science. Representing the pinnacle of marine research technology, this £200 million vessel will be able to navigate the oceans for up to 60 days at a time, with a crew of 30 and accommodation for up to 60 scientists and support staff. 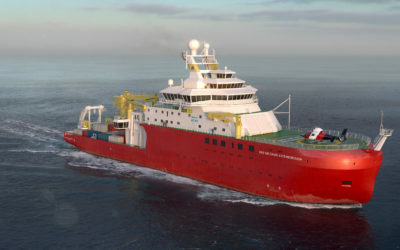 Fitted with more than 750m2 of reconfigurable laboratory space, an extraordinary array of ultra-modern instrumentation, remotely-piloted aerial and underwater vehicles, and advanced operational facilities, RRS Sir David Attenborough will empower BAS to continue its legacy of pioneering polar research for the next 25 years.  The United Kingdom has one of the most advanced research ship fleets in the world. When it enters service in 2019, RRS Sir David Attenborough will enable and support the UK’s world-leading science in the Arctic and Antarctic. 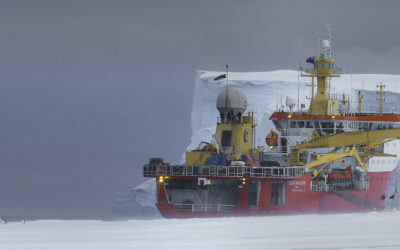 RRS James Clark Ross moored in sea ice during a research cruise in the Weddell Sea, Antarctica. BAS-operated ships have always been used by partner organisations as well as for our own work, and we look forward to continuing to enjoy close relationships with our science colleagues around the world throughout the lifetime of our next generation flagship.